3 Great Toys - Final Cost Just $37.11! You are here: Home / Great Deals / 3 Great Toys – Final Cost Just $37.11! 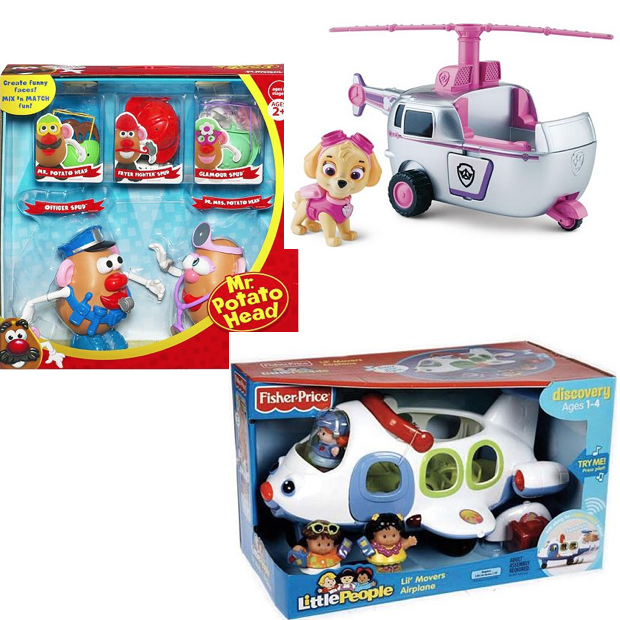 3 Great Toys – Final Cost Just $37.11! Order these 3 Great Toys – Final Cost Just $37.11 ! These items are all on sale but get a much better deal when you add in promo codes! Playskool Mr. Potato Head Box Set on sale for $19.99. Fisher-Price Little People Lil’ Movers Airplane on sale for $17.49. Paw Patrol On-A-Roll Skye High Flyin’ Copter Set by Spin Master on sale for $16.19. Add these 3 items to your basket for a total of $53.67. Use promo code TOYBOX10 to get $10 off your (select) toy purchase of $50. THEN, use promo code WEBS15 to get 15% off your purchase of $50! Final cost just $37.11 at Kohl’s! Both promo codes end on October 25! Click here to check out more Great Deals!